The utility provides users with an interface, where they can easily convert DBX to MBOX in bulk. Users can export many DBX data files to MBOX in a single go and save their respective time. To perform this, users need to add the folder comprising of many DBX files in it. 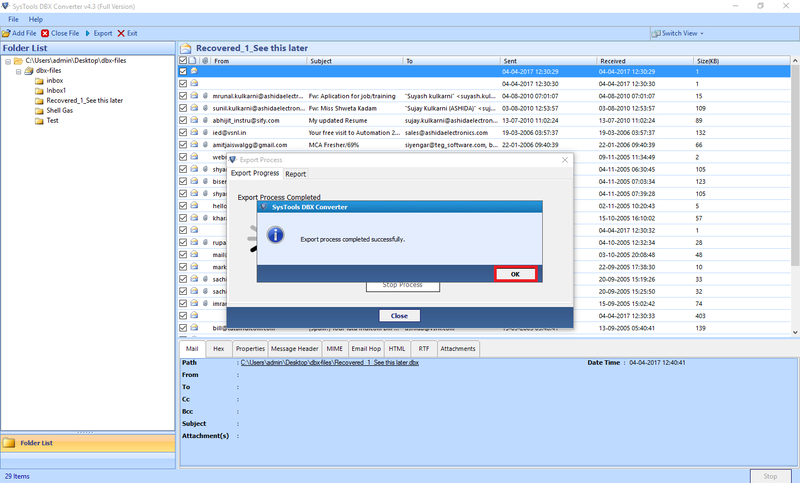 The tool offers users with an option to export all the attachments inside the DBX mail. The files are saved in exact mode after performing the conversions. The tool does not modify any mail or attachment neither damages files. It makes user easy to perform the conversion without any application. The tool allows the users can easily export and store the selected files/ folders from DBX format to MBOX by retaining the structure of folders. The software even renders the users to perform auto scan of files. Using this, users can easily finds out the corrupt files and then repair those files. The DBX to MBOX Converter provides users with an option where they can easily save the files by making a new folder directly from the software panel. To save the DBX files to MBOX, users can opt for making a new folder instead of selecting an existing folder to store the exported files easily. If a user finds it difficult to figure out storage location of Outlook Express, he/she can easily make use of Auto Detect checkbox option. 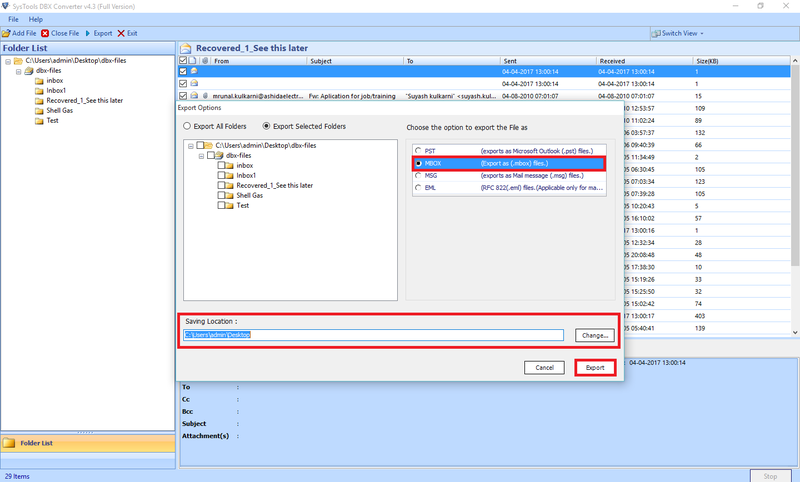 The option provides the users with a feature of automatically detecting storage location of the DBX files in a root folder. In short, while running the tool it detects the location of files. The tool is robust enough that it works compatibly with all the Windows Operating systems. The graphical user-interface of the tool is made using a brilliant algorithm that supports the working of DBX to MBOX converter, with all the versions of Windows be it 2010, 2008, 2007, or the below ones. 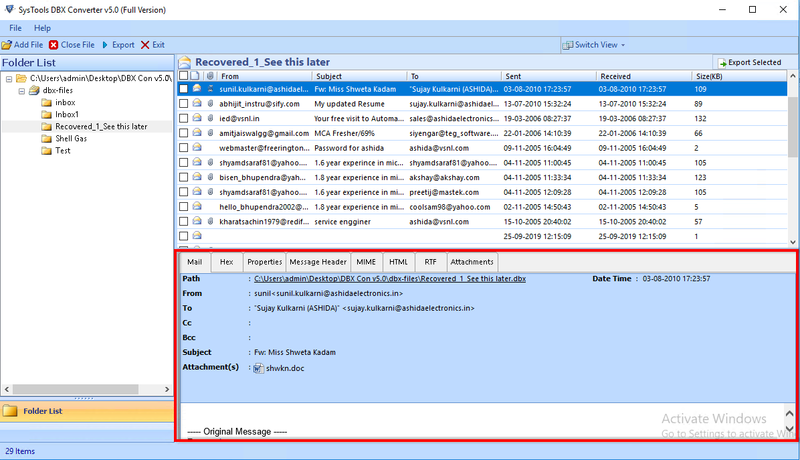 Is the tool compatible with all versions of Outlook Express? 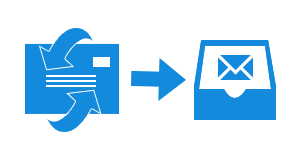 Yes, the DBX File to MBOX Format Converter tool is compatible with all versions of MS Outlook. Does the tool provide the selective import of files? Yes, via tool users can easily perform selective import of files. Does the tool exports the data along with the attachments? Yes, the utility is sharp enough that it easily exports the data along with attachments. Does the utility generate log report after conversion from DBX File to MBOX File Format? Yes, the tool provides users with detailed report of conversion. 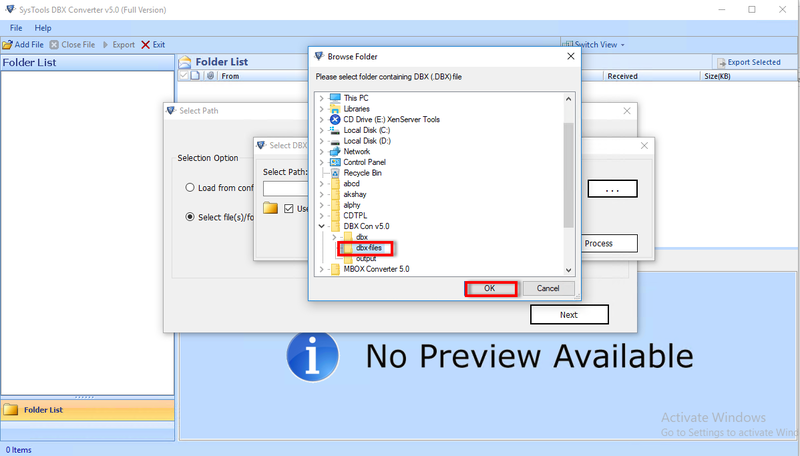 Firstly, go to start menu>> All Programs>> DBX Converter. A pop-up window will generate showing Add files. 1. Load from the Configured MS Outlook Express profile: This option only works in case you have Outlook Express pre-installed on the system. The utility selects the files from its default location. 2. 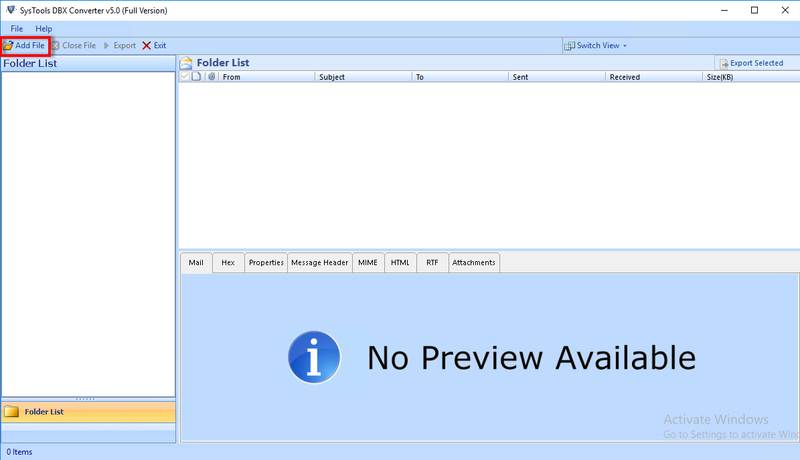 Select the files/folders from file system: In case, users are working on an orphaned Outlook Express file, then this option is of use. 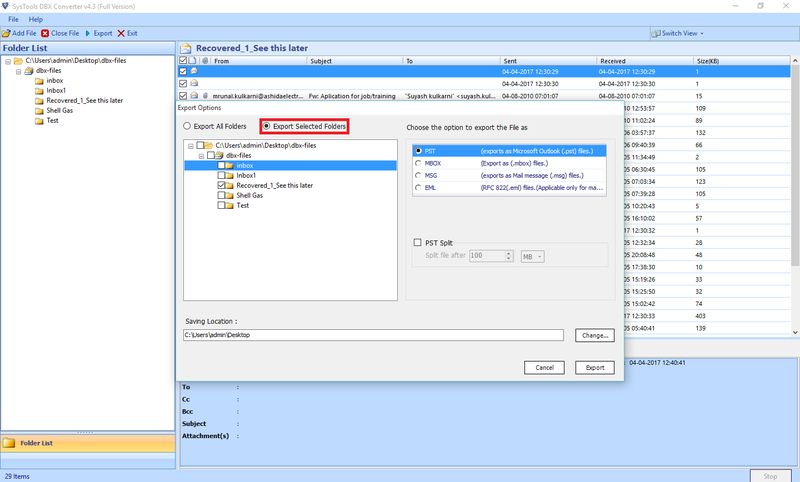 Using this option, users can easily browse to location of DBX files and opt for Next. 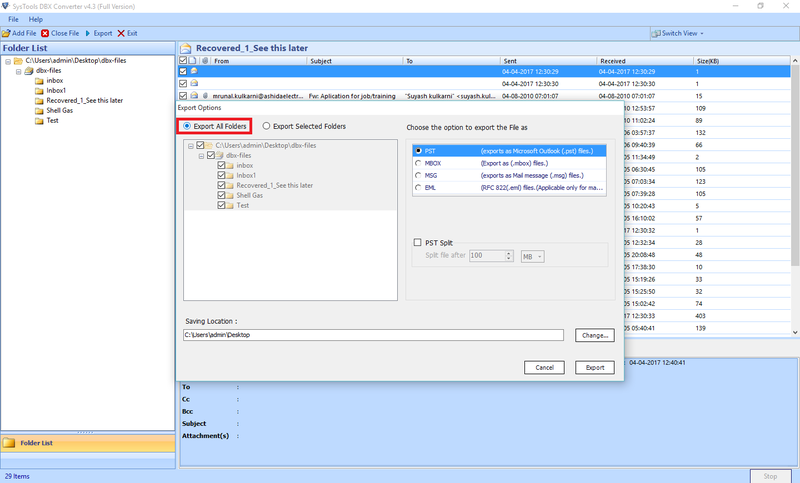 Users can easily select the DBX file that is to be exported and hit on OK button. After completing the entire process, tick the checkboxes and opt for Process button. 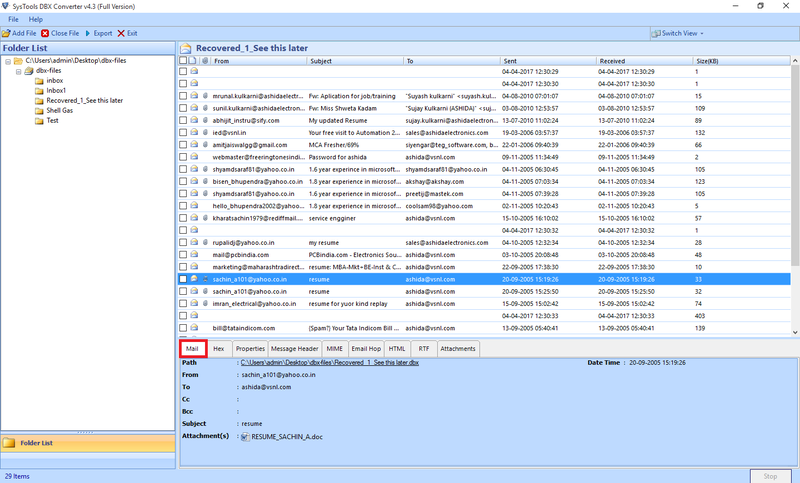 Once the entire process is complete, a screen will appear displaying the emails of chosen DBX files/folders. After the entire process is completed, the users can click on the Mail Tab to preview the details like Path, From, CC, BCC, To, etc. 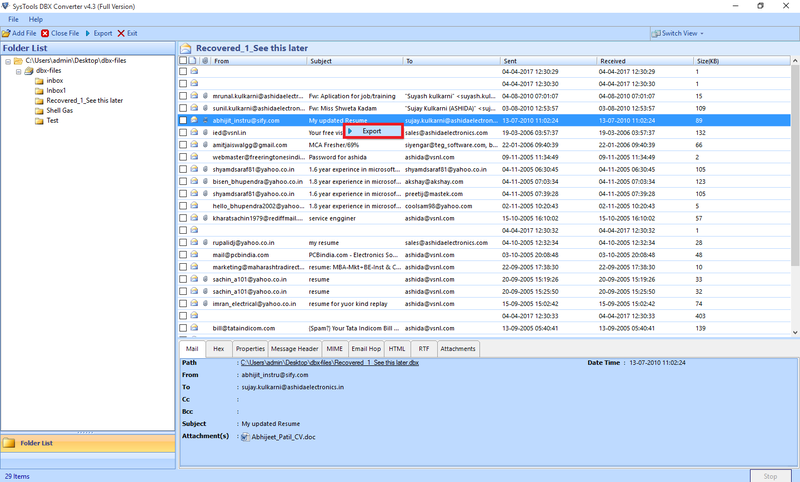 Using the utility, users can even get attachments of a particular email by clicking on the Attachments tab. The tool renders users with multiple viewing options. You can opt for any of the option like view emails in vertical or horizontal form. 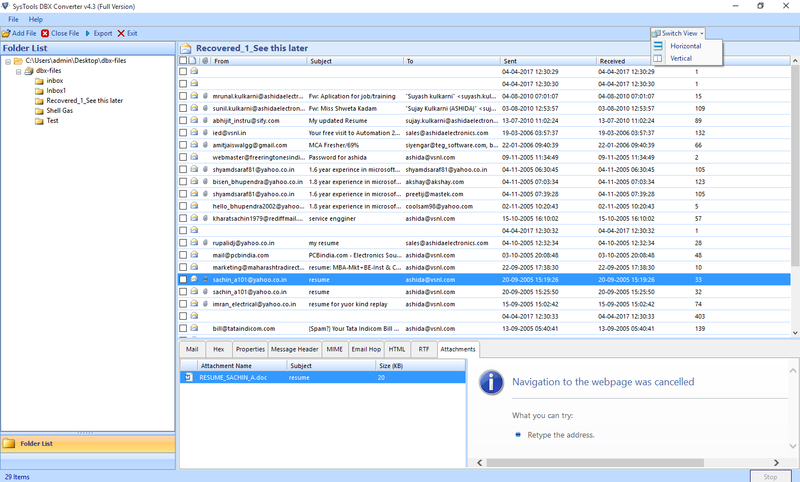 Using the software, users can export emails by directly right clicking on the email. The tool even provides a checkbox to select the emails. You can even opt for Export option present on the search/navigation bar. Now, in the Export option window choose MBOX file format to convert DBX File to MBOX format and select the desired naming convention to save the file. After that, choose the destination location by clicking on Browse button and click on Export option to begin the process. "I haven’t come across such a brilliant utility with numerous features. Earlier, I considered it very difficult to convert the DBX files to MBOX format. But, with this utility I am able to perform the conversion easily. Thank you tool! for your support. Indeed I would even like to praise the developers for such a wonderful product." "I would literally like to appreciate the developers as they did a wonderful job in the generation of this product. The tool served my purpose of converting the DBX files to MBOX with an easy. Earlier I was really afraid that how should I perform the conversion. I would recommend everyone should use the tool."